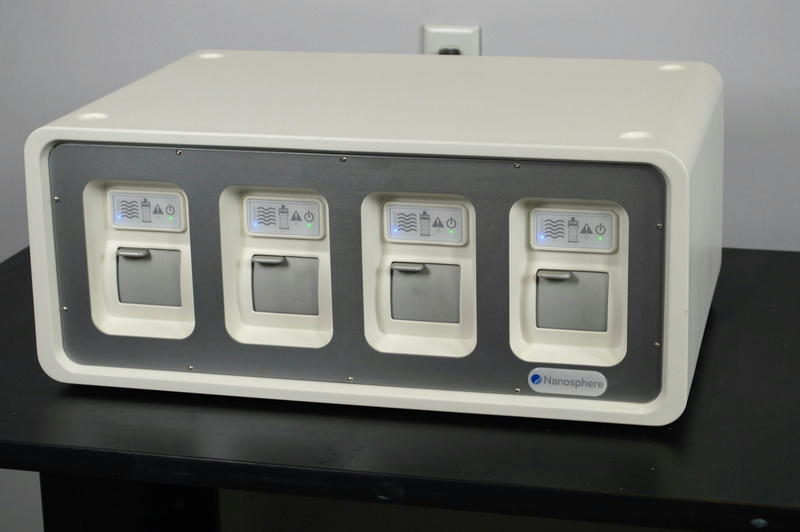 Luminex Nanosphere Verigene Microarray Processor Diagnostics 10-0000-04 . New Life Scientific, Inc. This Nanosphere Verigene processor is in very good cosmetic condition, with only minor wear from normal use. New Life Scientific technicians were not able to fully test this system, as our other Verigene readers are too outdated to communicate with this system. This processor does appear to be fully functional and powers on, initializing without any issues. This processor is a perfect addition to any existing Verigene system. NLS has contacted the manufacturer, and they informed us that this system is available for upgrade, and that the hardware is still good and can be serviced. The technicians recommend that the buyer of this processor have the manufacturer service the unit and check it for functionality and upgrades. Please refer to the pictures or contact us for more information.